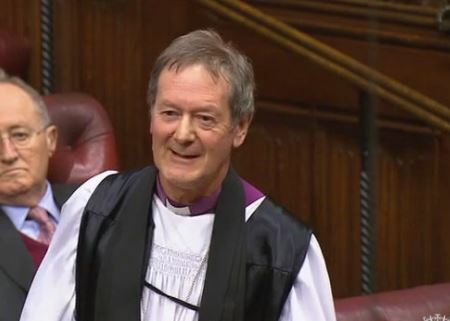 The Lord Bishop of Derby: My Lords, I thank the noble Baroness, Lady Anelay for her introduction and her leadership in international development matters and, now, the Commonwealth. I want us to think of ​the Commonwealth as a global community which, like any community, will have very mixed ingredients, as we have already heard. Although it is important in our present moment to look at the potential for trade and its enriching, I want us to look at the wider context in which the meeting is happening and what the agenda for the Heads of Government might be to be fruitful. I give your Lordships some headlines about the context in which the meeting in 2018 will almost certainly take place. We are moving into a time of increasing uncertainties about political values and identities—one where there are uncertainties about the liberal democratic institutions that so many of us have taken for granted. We are moving into a time of uncertainty about the viability of human rights. It seems to me that as the rhetoric and the noise about human rights get louder, there is more and more inequality, exclusion, poverty and suffering. We are moving into a time of populism, which is a mood expressing an emotional explosion from people but has no political shape or direction. That creates frustration and instability. We are moving into a time where the way to gather political consensus is to have a negative that people can all join in opposing. These are very testing times. This will be a unique meeting of leaders of 52 countries to make an impact in that kind of world. I invite us to think positively, as the noble Viscount, Lord Waverley, has, about the Commonwealth and its potential, and for this meeting to be a significant moment in these testing times. The first thing I remind us of is that the Commonwealth is connected by common DNA and a common head. I stand here as a Bishop in the Church of England. Noble Lords will know that the Church of England is always rent apart by all kinds of disputes, different angles and different perspectives. That is almost inevitable because we represent all the people of the country. But we have a common head: the Queen is the Supreme Governor of the Church. That is a very powerful sign that whatever our differences and struggles, they need to be tackled in an ordered way under a common frame. The Commonwealth models that in the politically challenging world in which we are set: the importance of a holding loyalty, a common DNA and an ordered development, despite all the differences on the ground that people might bring to the table. We live in a world where religious tensions make us see religion as negative, but many of the partners in the Commonwealth are places of deep spirituality and strong faith values. We need to see how that human spirit that desires faith and goodness can be nurtured and held together politically and economically. I invite noble Lords to think about a religious word. We live in a world that I see as a contract: “I’ll do this and you do that and we’ll try to find a way of making it work”. A religious word for holding people together is covenant, which is about the spirit in people that can unite them and give them a sense of direction. It was the word “spirit” that Her Majesty used on Monday in her address. I hope that leaders can show a spirit and exemplify it on the world stage, despite the differences of speed, aspiration, history, culture and religion—a spirit of the covenant to be walking together. That is a very profound thing that the Commonwealth has in its DNA. It is not prevalent on the world stage and it could be easily swept aside if we look just at trade, where we do need a contract to get the money we are due in the exchange. There is a deeper register that the Commonwealth can model. I have another point on scale. The Commonwealth is 52 countries—what a huge bloc within the United Nations, which is 192 nations. How can this meeting galvanise that bloc about the sense of direction and the generous values and goodness in our DNA that is willing to have an ordered element under a common head? How can that help the United Nations get some purchase in this very challenging world? That brings me finally to the sustainable development goals. That is a global agenda. This meeting could be a public laboratory on how 52 of the most diverse nations can look at the sustainable development goals and say, “We can make a difference in these ways”. I am involved in a movement called the Global Sustainability Network, sponsored by the Vatican, the Church of England, Muslim leaders and many others, trying to look at goal 8 on sustainability and modern slavery, which the Pope brought together in his encyclical Laudato si’. The Commonwealth is a very interesting place where sustainability, slavery, migration and trafficking could be looked at. All the ingredients and complexities are present, but this sense of covenant and common commitment might get some political purchase in the real world. I welcome this opportunity of hosting the Heads of Government. I hope there will be some important work on trade, mutual flourishing and developing the institution creatively. I hope we will remember that the Commonwealth needs to be celebrated as a community with a covenant and with a sense of direction the world badly needs to see modelled positively and well.